The Atlanta Falcons have parted ways with linebacker Stephen Nicholas and cornerback Asante Samuel, saving $6.5 million in the process. $4.5 million cap savings for Falcons with release of Samuel. $2 millon savings with letting go of Nicholas. Team confirms that Samuel and Nicholas have been released. These were cuts that had to be made; both players had lost their starting positions in the Falcons’ youth movement last season and simply were too expensive to keep as backups. The Atlanta Falcons are banged up. Two players are lost for the season: defensive end Kroy Biermann with a torn Achilles and fullback Bradie Ewing with a separated shoulder. 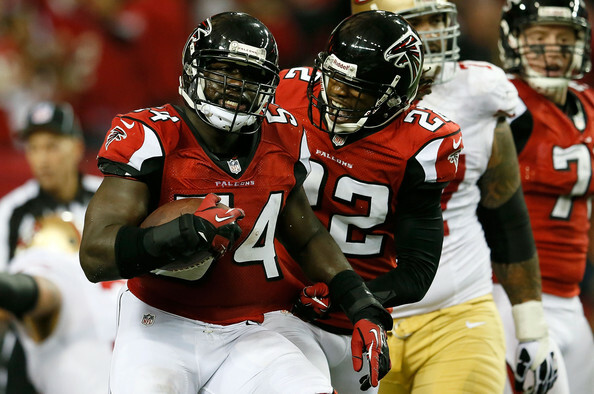 Linebacker Sean Weatherspoon will be out eight weeks with a Lisfranc injury. With several Atlanta Falcons being forced to leave the game with injuries, it was up to Julio Jones and Matt Ryan to lead the team to victory over the St. Louis Rams. 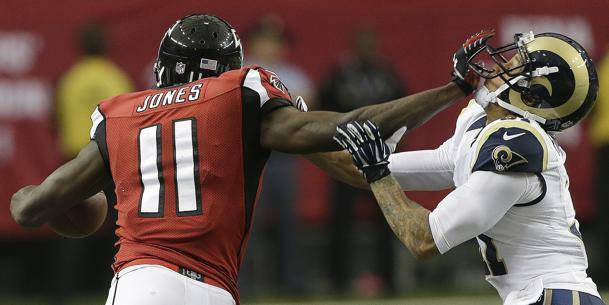 Jones matched a career-high in yards with 182 – a total he matched in last season’s NFC Championship game – on 11 receptions, including an 81-yard touchdown; Ryan threw for 374 yards and two touchdowns on 31/41 passing. The Atlanta Falcons look to avoid their first 0-2 start since 2007 as they play hosts to the St. Louis Rams in the Georgia Dome. 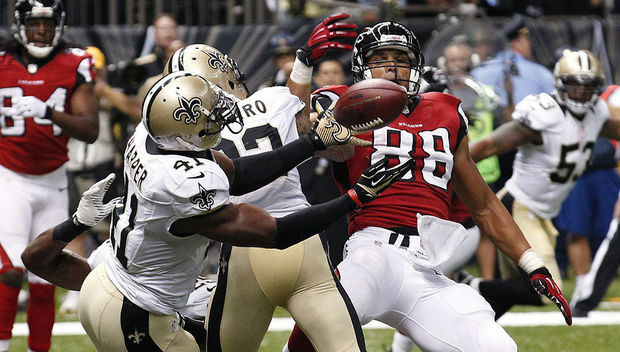 Atlanta looks to rebound after losing last week’s season opener to the New Orleans Saints. 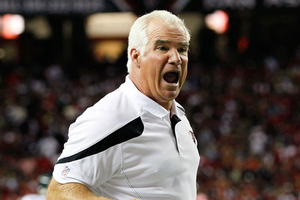 Under head coach Mike Smith, the Falcons are 20-3 in games after a loss. The Atlanta Falcons were unable to spoil New Orleans head coach Sean Payton’s welcome back party, as the Saints held on to beat the Falcons 23-17 in the Mercedez-Benz Superdome. Matt Ryan drove the Falcons (0-1) down to the Saints’ three-yard line in the final three minutes, but the Falcons were unable to score. 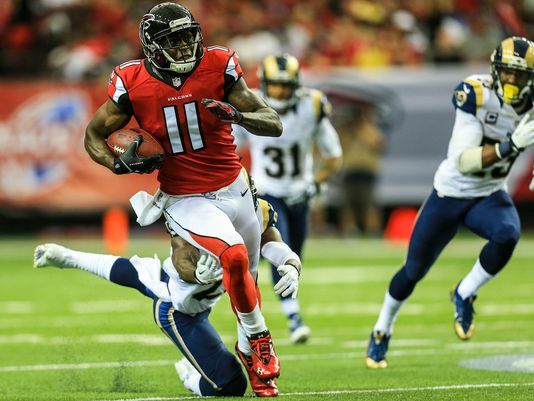 Atlanta Falcons wide receiver Roddy White (ankle) is active for today’s matchup against the New Orleans Saints. In what will be a big blow to the secondary, cornerback Asante Samuel (thigh) is inactive. Also on the inactive list for the Falcons: guard Harland Gunn, safety Kemal Ishmael, defensive end Stansly Maponga, defensive tackle Travian Robertson, tackle Jeremy Trueblood, and running back Josh Vaughn. Samuel being inactive means the Falcons will be starting two rookie cornerbacks in Robert Alford and Desmond Trufant when the defense is in nickel packages, which will be often against Drew Brees and the Saints passing attack. Robert McClain will get the start in Samuel’s spot. The Atlanta Falcons’ starters looked nothing like they should’ve looked in Saturday’s 27-16 loss against the Tennessee Titans. If there’s a preseason game to put stock in, it’s the third preseason game because it serves as a dress rehearsal for the regular season. The starters play the first half (and a little into the second half), and it’s the first game coaches actually gameplan for. The Falcons are expected to be a Super Bowl contender, but Saturday’s game provided nothing but evidence to the contrary. In what seems to be a common theme in preseason for the current regime, the Atlanta Falcons were blown out 34-10 by the Cincinnati Bengals in the Georgia Dome. 1) It’s only preseason. Last preseason, the Falcons went 1-3 and finished the regular season with a 13-3 record and a trip to the NFC Championship Game. 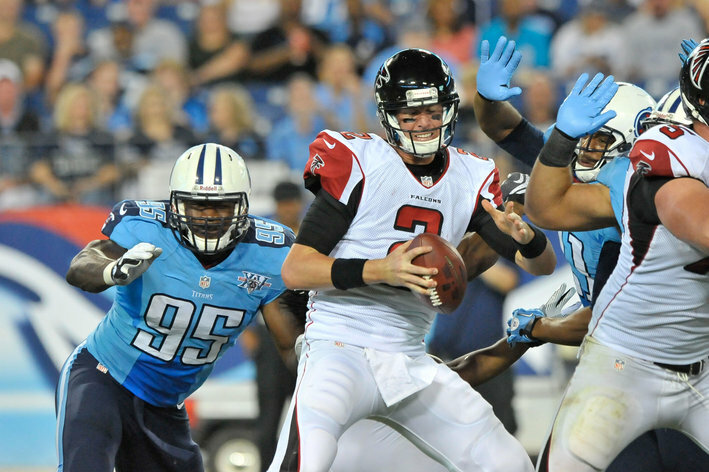 2) The Falcons rarely win in preseason. It’s the status quo. Also of note: Julio Jones and Sean Weatherspoon both sat out. Jones is nursing a sore hamstring and Weatherspoon has a badly disclocated finger. The Atlanta Falcons open training camp today, and the road to the Super Bowl XLVIII begins. There is one off-the-field issue the Falcons must address soon: the contract situation of Matt Ryan. The franchise quarterback is entering the last year of his rookie deal. 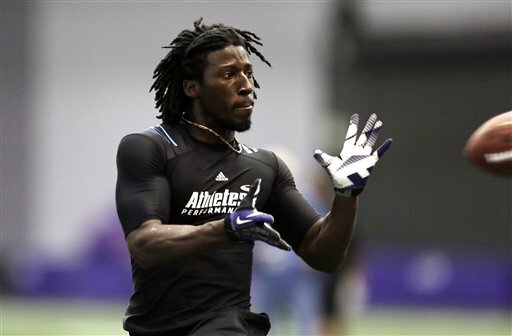 The Atlanta Falcons have agreed to terms with Desmond Trufant, their first selection of the 2013 NFL Draft. The news comes just in time for the start of training camp. 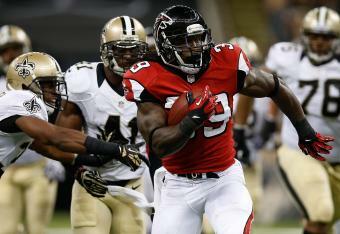 Falcons and first-round pick Desmond Trufant reached agreement on a new deal. There was a report that the two sides were apparently in a contract squabble, but evidently that isn’t the case any longer. 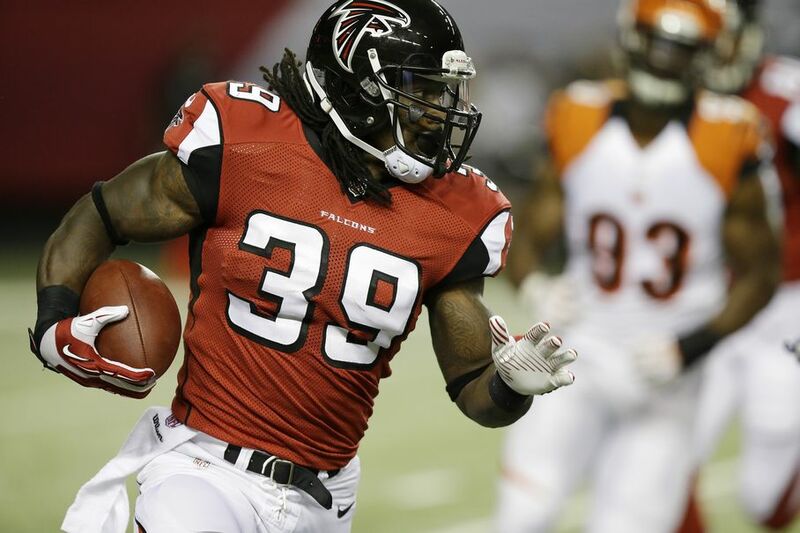 The Falcons expect Trufant to come in and start immediately opposite from Asante Samuel. Atlanta also agreed with terms with seventh-round pick Sean Renfree.